Meet your local guide Laurianne and enjoy an amazing guided tour in Marseille. toctocMarseille invites you on a private guided tour in Marseille. An authentic experience in the city, with its must-see treasures and its untold scenes and secrets. Like a true local, find the hidden beaches, discover stunning walks & sights and enjoy mediterranean cuisine at its best...Follow the guide! You will find here all the informations about the services I offer : Holiday Planner to organize your tailor-made holidays and Tourist Guide to visit Marseille and Provence with a private guide. Ich spreche Deutsch, Ich mache Stadtführung aud Deutsch in Marseille! A precious resource when planning your vacation. A personalized itinerary with custom-made tips to explore the city by yourself. A local guide for a true Marseille experience. Custom-made tours with a private guide to visit Marseille and the Provence like a local. 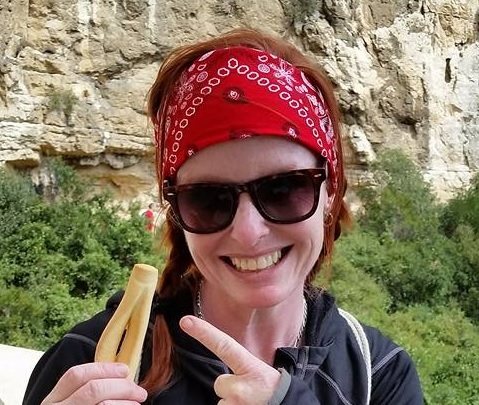 Laurianne is a fantastic tour guide, adorable and sweet, she will help you to discover the local Marseille with great tours, great adresses not listed anywhere. I highly recommend the visit "Must see". She is always there to give you the best tips about your exact needs. Wir haben uns mit Laurianne sehr wohl gefühlt! Laurianne hat uns viele Infos zu der Stadt und der Umgebung gegeben so dass wir uns nach kurzer Zeit wie zu Hause gefühlt haben. Vielen Dank! Laurianne is a wonderful, easy going person and she was very helpful: She took her time to give us some precious advices on how and where to get around in town (beaches, bars, restaurants etc) and provided us with cultural planners, event information and maps. We spent 12 perfect days. Merci beaucoup, Laurianne! During a press trip Laurianne gave us an interesting and fun tour through the historic center of Marseilles, along the harbor and the new architectural Mucem building. During the two-hour walk I got a good impression of the city and Laurianne is a super fun, spontaneous and cheerful guide, just like the fun drawed logo on her business card is promising you! I just have to say that I had the most amazing 2 days here in France because of Laurianne. Definitely the best days I've had of my 8 days here. My name is Laurianne, I live in Marseille. I studied marketing and event management and I work since few years in cultural event organisation. Then, I decided to become Holiday Planner and tourist guide. I grow up toctocMarseille to share my know-how and passion for this city and enrich your visit in my region, la Provence. I offer guided tour in Marseille in english and german.